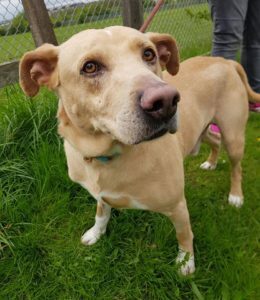 Jonty is a very handsome Crossbreed who is 8 years old and medium in size ish (small ish Lab size). 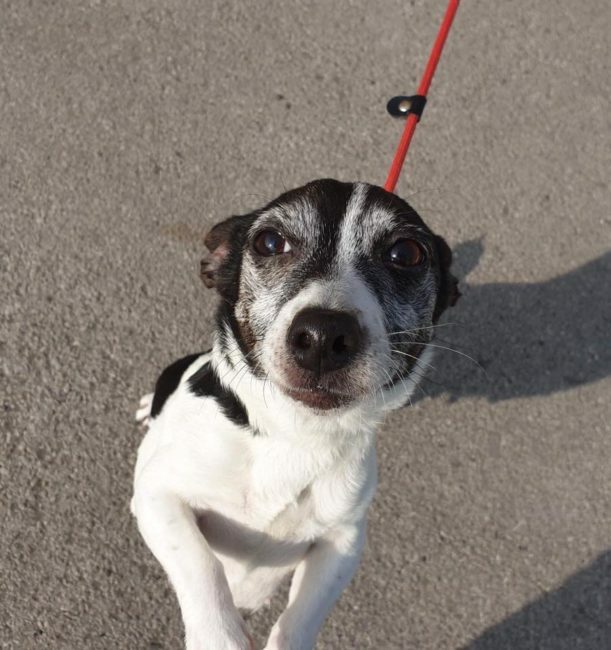 Jonty came to us from the stray pound where he was very shut down and withdrawn. 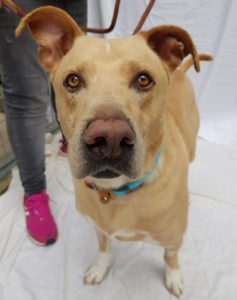 He took a long time to interact with us, and is still on the shy side and is looking for a more ‘hands off’ quiet home where he can enjoy life at his pace. 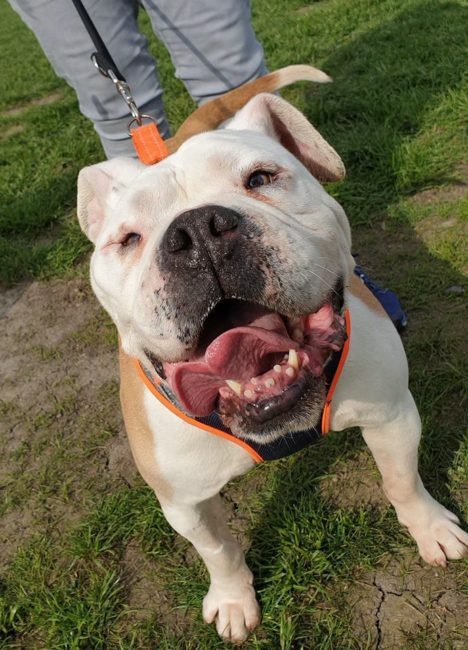 He is now in a foster home and loves having a fuss with his fosterer and really enjoys company, but is calm with it. He comes to life when you show him a toy (squeaky toys are his FAVE!!) and would love a home with a decent sized garden where he can enjoy sunbathing and playtime with his toys. 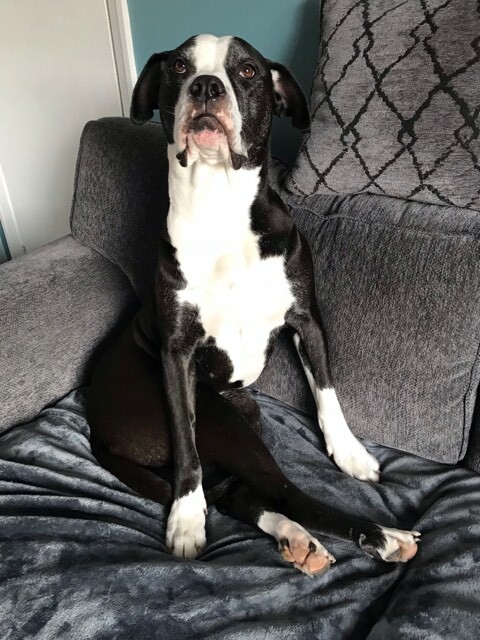 Jonty will take a little time to settle himself into a new home, but he will be so loyal when he’s settled and he definitely longs to be someone’s ‘best friend’. He is clean in the house (just a few accidents at first when he was left alone), and isn’t a chewer at all. He wants to chase small furries (squirrels and cats!! ), so will need a home without cats etc. We are looking for a dog free home for Jonty as he wants to be in a 1-1 home. Please consider giving this lovely, loyal boy a chance, he is a little diamond in the rough and is sadly being overlooked at the moment.